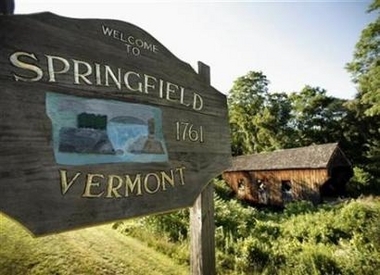 I am one of 200 volunteers who appeared in the winning Springfield Vermont video. After we helped them win, our local Chamber of Commerce turned its back on us. We were excluded from the invitation list, our seats awarded to the elite in town instead. And not even a word of thanks or mention of us in the public ceremony outside the theater! To read more and experience some happier sights and sounds of the world premiere in the small Vermont town, click on my name above.